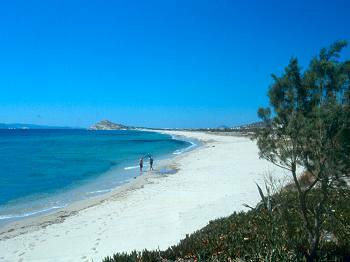 This area is actually three beaches, Kastraki, Glika Nera and Glifada. Grouped together, they strech for 3 kilometers (2 miles), with blindingly white sand and clear water. It is an oasis of peace and calm if you are hoping to get away from it all. There are a few rooms for hire and some tavernas.